This Special Project for Youth (SPY)is based in the Base Youth Café , Hill Road, Drumshanbo and funded by DCYA. It was established in 1989 to combat social isolation and rural disadvantage in Leitrim. The Project works with and for young people aged 10 – 18 years old across the county in partnership with young people, parents and volunteer leaders. Counselling service in Base Café . Promoting participation in inter-club activities, regional and national programmes and opportunities including games, hikes, disco’s quiz’s. Organising exchanges with group in Northern Ireland, England and Europe. Collaboration and networking with other agencies. Health promotion programmes – healthy eating, activity days etc. Equipment/Resource Library – a large stock of resources which are available to affiliated groups and includes camping equipment, video and photography equipment, sports equipment and a range of books and learning material. The role of the volunteer youth worker/leader has always been and still is central to the ethos of youth work in Leitrim Project. Without volunteers many clubs/youth cafes could not operate. 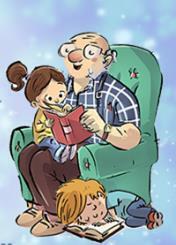 Volunteers commit time and energy for the benefit of young people. As a volunteer you learn and gain skills as well as share your knowledge and skills, you are challenged and make an impact and difference to young people at this vital development stage of their lives. We provide the support, training and insurance – you commit the time, 1 – 2 hours a week. Young people in clubs and cafes have the opportunity to train in leadership and work alongside adult volunteer leaders in clubs/cafes and projects and become involved in local, regional and national events and opportunities. 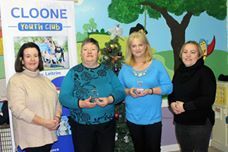 Cloone Youth Club Leitrim, honours volunteers with 20 years service. 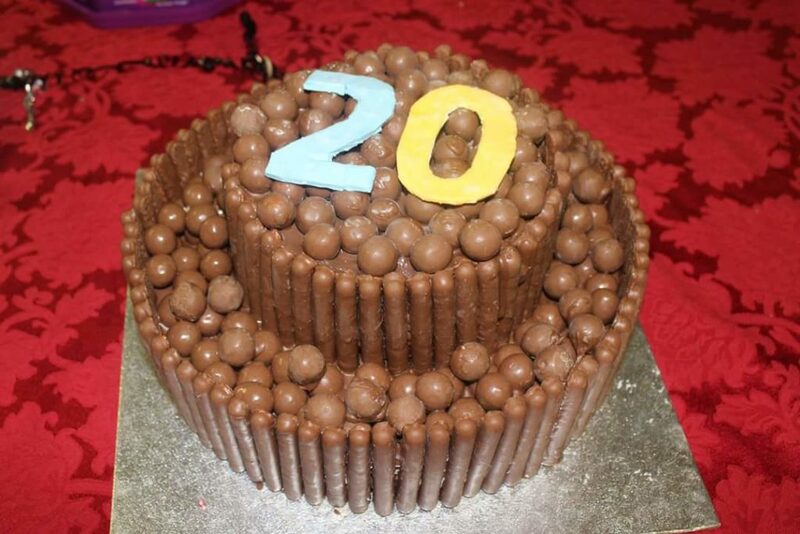 Cloone Youth Club held a celebration evening to mark 20 years of voluntary service by Maureen Murray and Dympna Creegan. 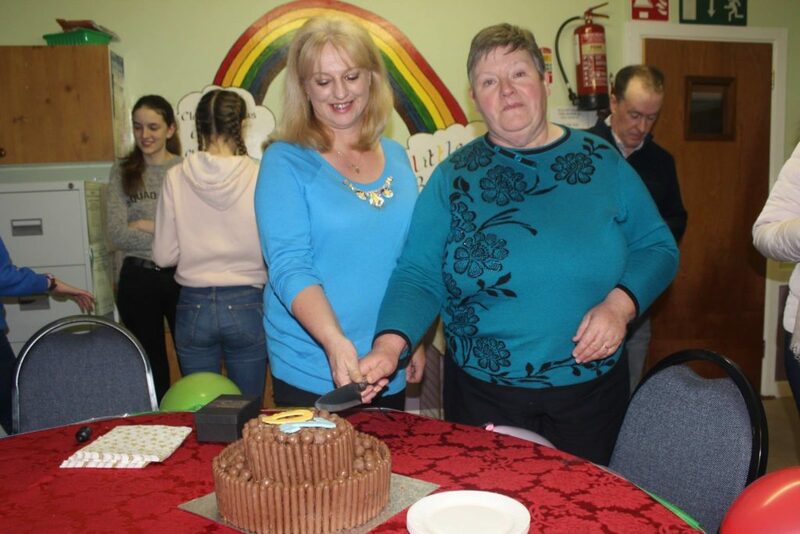 Both were presented with Certificates by Youth Work Ireland North Connaught and with crystal clocks by the club and a lovely celebration cake made by Eva Keegan was enjoyed by all. Both have committed their time and energy to the young people of the parish since 1997 when the club was founded.